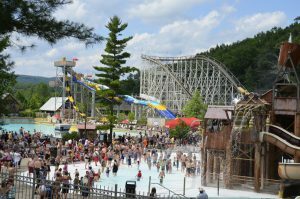 Home » Site InSpections » Why Take Your Students to Lake George? Getting students into nature is the best way to teach them about it. 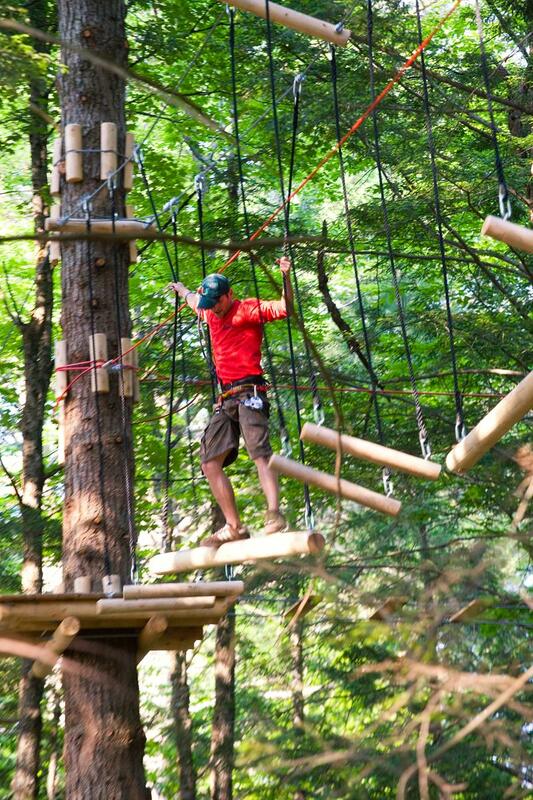 Bring them to New York’s Lake George for a hands-on ecological adventure they’ll never forget. There’s a lot students can learn about science and nature from a textbook. But the lessons that stick with them are the ones that take place outside a classroom setting. The ones that give them a hands-on, real-life lesson that they can apply in their everyday lives. Lake George, in upstate New York, offers students a wonderland of habitats, from serene lakes to intricate caves. Located four hours north of New York City, Lake George is admired for its natural beauty and family-friendly environment. But it’s also a natural classroom, filled with scientific lessons to be learned around every corner. There’s no shortage of educational sites for students to enjoy. In fact, they’ll be so entertained with Lake George’s caves, mines, farms and other outdoor adventures, they won’t even realize they’re learning. Want even more reasons to take your students to Lake George? Here are just a few. An adventure up in the trees. That’s what is waiting for students at the Adirondack Extreme Adventure Course, the largest aerial adventure course in the country. The course will challenge each student’s physical abilities while teaching them to work with and support their peers. Students will take on giant zip lines, rope swings, climbing walls, Tarzan jumps, ladders and nets. All of these elements are built within the natural landscape, using the trees and branches as part of the course. It’s a place where students can learn to respect each other and nature. It takes about four hours to complete the course, and there is a shorter junior course available for younger student groups. The geological masterpieces of the world can be found right beneath our feet, we just need to know how to find them. 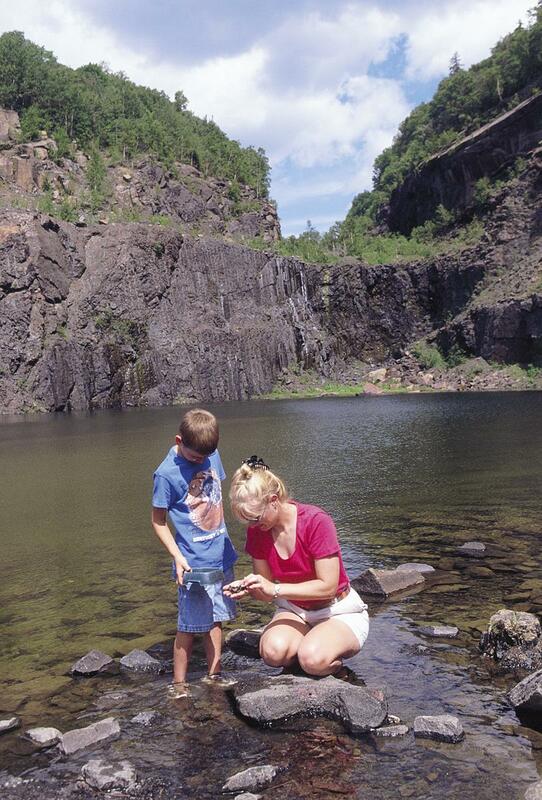 In the Adirondack Mountains, just north of Lake George, students will have the chance to visit the Barton Mine, where they can hunt for garnet gemstones, crystal faces and many other specimens. Guides will lead students in a mining adventure, explain the history of the industry, the geology of the mine, and the techniques to finding the ruby red gems. The look on a student’s face when he or she finds a glimmering stone is a thrill for any teacher, and what better way to remember the trip than with a memento like your own personal gemstone? Studying the migratory habits of birds. Observing the stages of metamorphosis in bugs. Tracking animals in the snow. These are just some of the interactive activities students will take part in at Up Yonda Farm Enviornmental Education Center. Opened in 1997, the center has become a popular place for students to get a hands-on look at wildlife, flowers, insects and more. Students will discover the importance of trees and how to identify certain local species, learn the life cycle of the monarch butterfly, and even tap a sugar maple to collect its sweet sap. The farm offers a number of season-specific programs from September to June. You can’t visit Lake George and not venture out on the water. The lake is one of the best natural classrooms a teacher could ask for, which is probably why the Lake George Association created the Floating Classroom. Students will board a 40-foot catamaran to experience an interactive aquatic adventure. Instructors will dive into the history of Lake George, its ecology and animal species, and the efforts that go into protecting it. Hands-on activities include measuring water clarity, testing water pH and temperature, and catching zooplankton. The program runs from May to October and accommodates student groups of all ages (maximum of 30 people). What student wouldn’t love to be a cave explorer? Well, they can become one at the Natural Stone Bridge and Caves in the Adirondacks. This park is the home of the Natural Stone Bridge, the largest natural marble cave entrance in the eastern United States. Students will navigate the trails to reach the cave, and then have the chance to explore this unusual geological feature. Groups can explore on their own or with a guide. Students can also participate in other activities such as the Caveman Challenge Bouldering Wall, the Gold Rush Mine and the Dino Dig. The budding scientists, statisticians, mathematicians and engineers in your class will get a true educational thrill with a visit to Six Flags Great Escape & Splashwater Kingdom. With over 135 rides and attractions to study, this is truly a science lab come to life. Students will now be able to apply the physics and math lessons from the classroom to a real-life scenario. The park hosts themed educational days where students receive workbooks to observe, measure and compute the inner workings of the rides. Great Escape is the perfect spot for a student field trip of all sizes, with loads of picnic pavilions and convenient catering options. The Lake George area makes it easy to bring the lessons of the classroom into the real world. There are so many educational attractions and natural wonders here, your students may never want to leave. Lake George will offer them a new way to look at what exists around them, and help them discover more about science and nature than they ever thought possible. Get your students outdoors and give them a fun, interactive science lesson they’ll never forget.